Fragrances say a lot about a person. A woman who smells like a bush of fresh roses might be unwittingly (or wittingly) conveying a soft femininity, whereas a woman wearing an amber fragrance, like musk or vanilla, conveys a more direct, passionate nature. Fruity scents can convey a kind of bouncy, buoyant quality, light-hearted if a tad too on-the-nose. 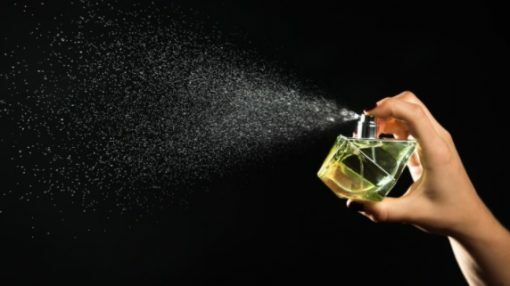 It’s no wonder, given the shifting trends in culture and behaviour, that trends in fragrance would change as well. And what’s also changing is the way women fragrance themselves. It used to be that you’d grab a bottle of Chanel No. 5, and spray away with the atomizer until you were blanketed in the musky smell. But more often now, women are opting to get their scents from lotions, like the exotic Molton Brown lotions that source their fragrances with the same rigour as perfumeries, but whose effect is subtler. Subtlety, it seems, is the operative word these days. The types of scents that are currently in vogue reflect the way in which women are representing themselves in 2017. A big trend is in citrus, because its sharp, fresh zip conveys a springy sort of youthfulness. And while grapefruit, lime and lemon continue to be the most mainstream iterations of the citrus trend, those in the know are looking to newer citrus smells. Bergamot and bushukan (or Buddha’s hand) are two of the less familiar citruses, but they’re both delightful. Bergamot, which perhaps you’ve come across as an ingredient in Earl Gray tea, is a green orange grown in Calabria, Italy, with a subtle fragrance that ties together other scents. Bushukan is a rather odd looking citron, shaped like a cluster of long fingers, that smells lemony, with a hint of lavender. Another popular scent group right now is earthy scents. Head to any boutique geared toward a younger crowd and they’ll either be burning a smudge of sage or a cedar incense cone. These scents convey a grounded sense of confidence, as well as a connection to nature. Other popular earthy scents, like patchouli and sandalwood, also mix in a little bit of that passion present in muskier amber scents. Finally, spicy scents are also in fashion right now, but are generally used conservatively. A few years ago it might’ve been in fashion to make yourself smell like a pumpkin spiced latte, but nowadays people are tending towards the more floral spices like cardamom and pepper. These spices, balanced with earthy or amber scents make for a balanced, self-assured scent. Of course, warming spices like cinnamon and cloves still have their time and place – none of these are hard and fast rules, but merely an overview of the current scent trends. No matter which scent you naturally gravitate towards, give a moment’s thought to the way you’d like to convey yourself. And whatever you choose make sure you buy your scented products from well-reviewed companies who have a history of making fragranced products, because, well, they make the most scents (get it! ).